Move over, Wimpy Kid. 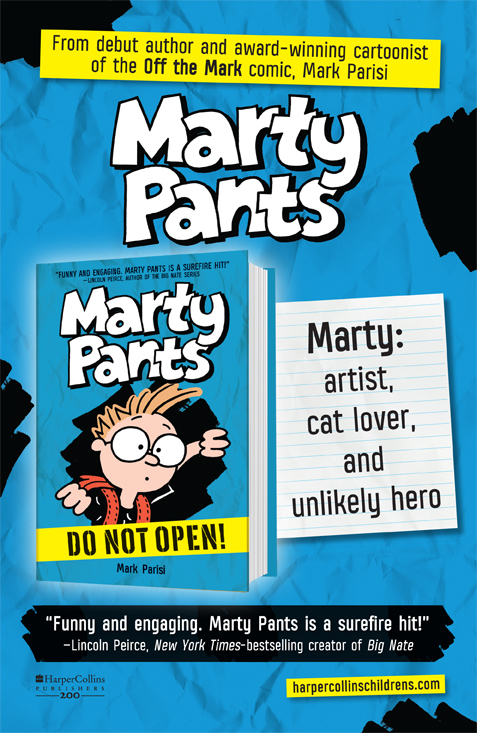 Here comes the imaginative, the inquisitive, the unstoppable Marty Pants! Marty Pants is different from your typical middle schooler. He has the soul of an artist, and as an artist, he notices things – the kinds of things other kids don’t seem to see. 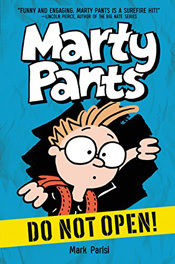 This hilarious new series follows the endearing, frazzles, embarrassed, and ultimately, fearless footsteps of literature’s most unlikely hero – Marty Pants.